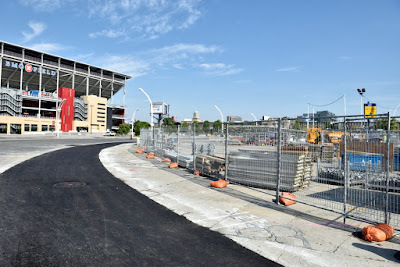 Now updated with June 19 photos. Also see the track on the night before the race weekend on my post here. See Friday, Saturday and Sunday 2016 race coverage. 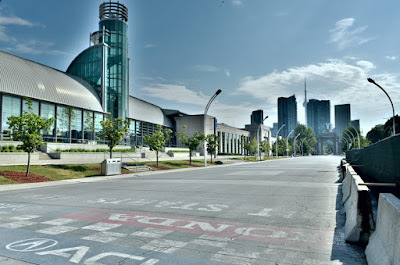 Hi to Geoff Roberts! 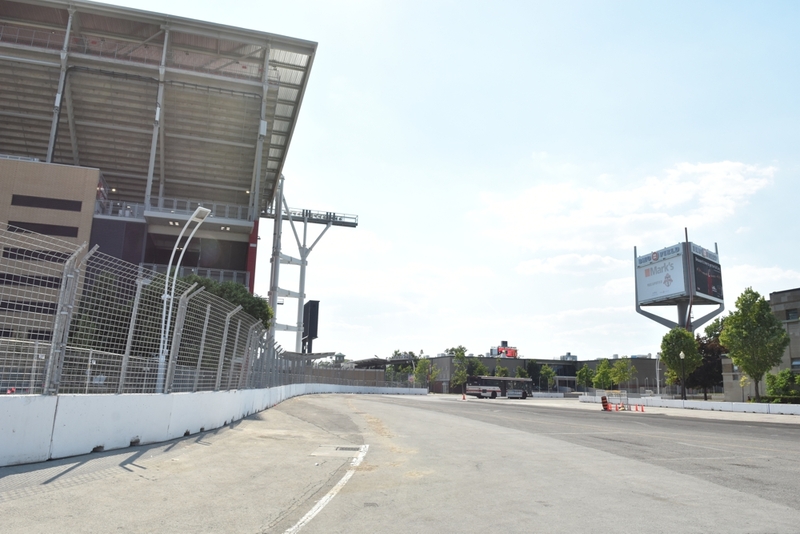 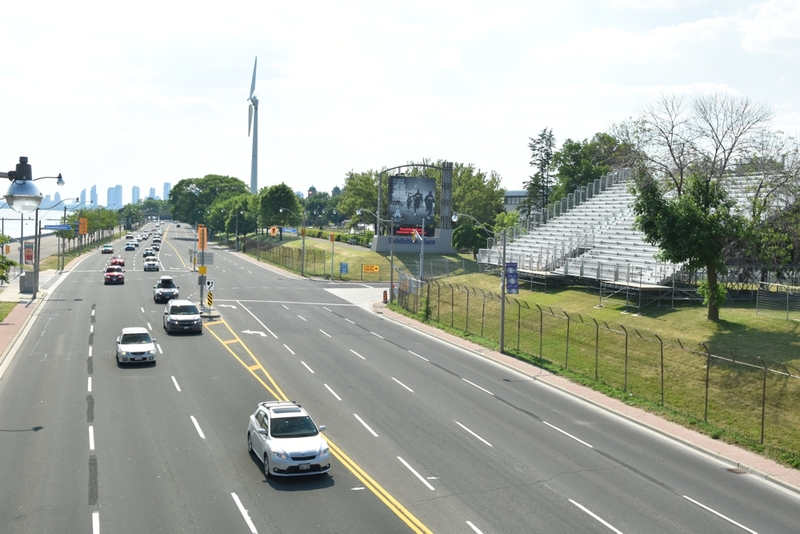 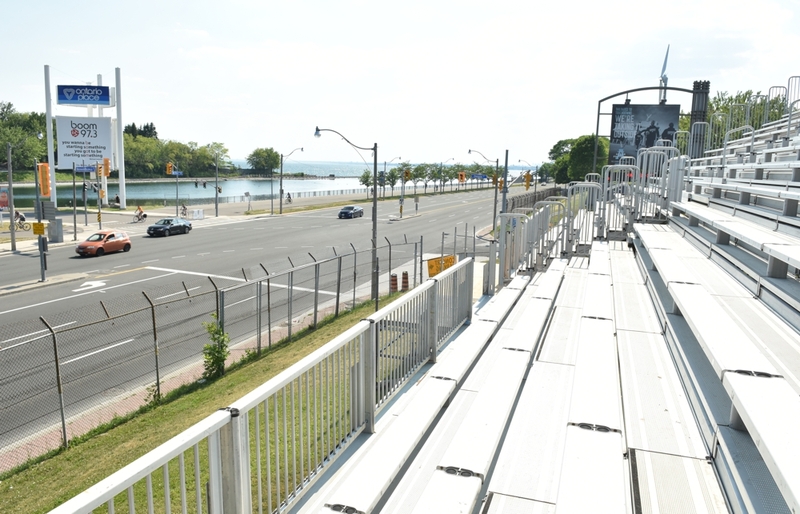 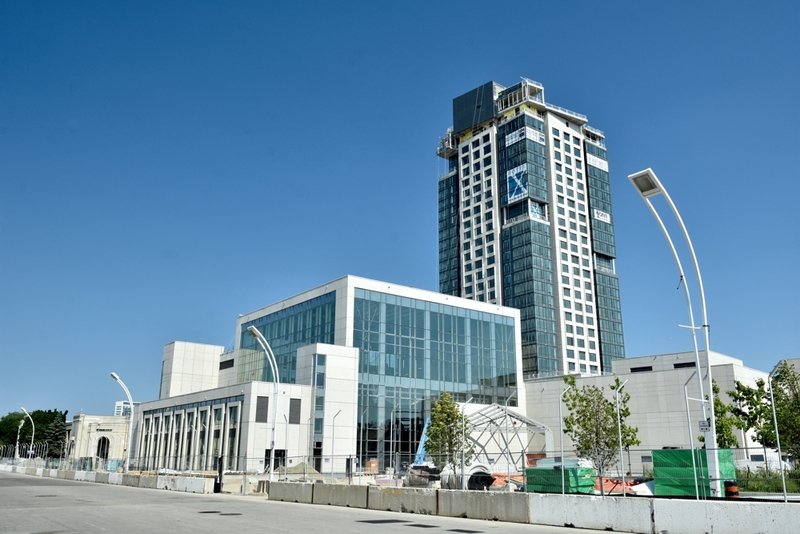 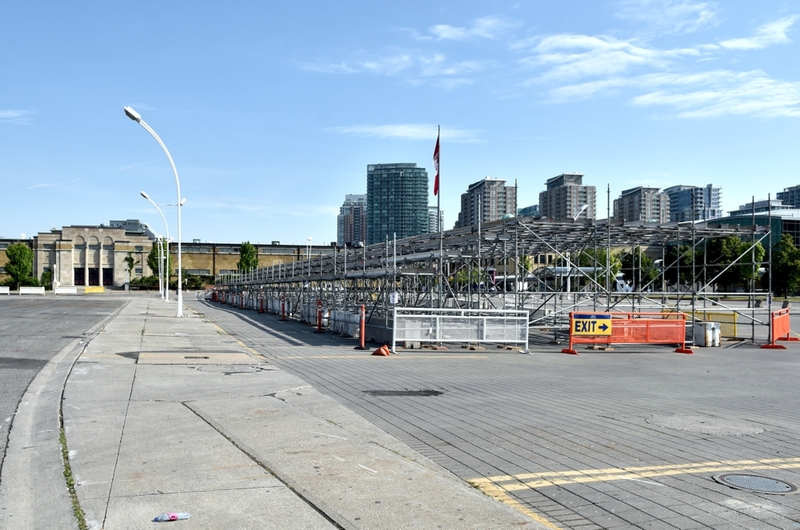 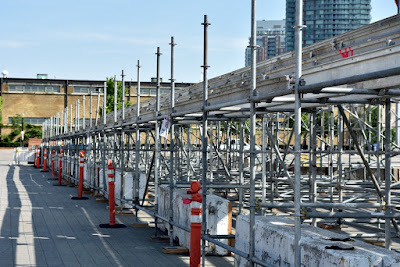 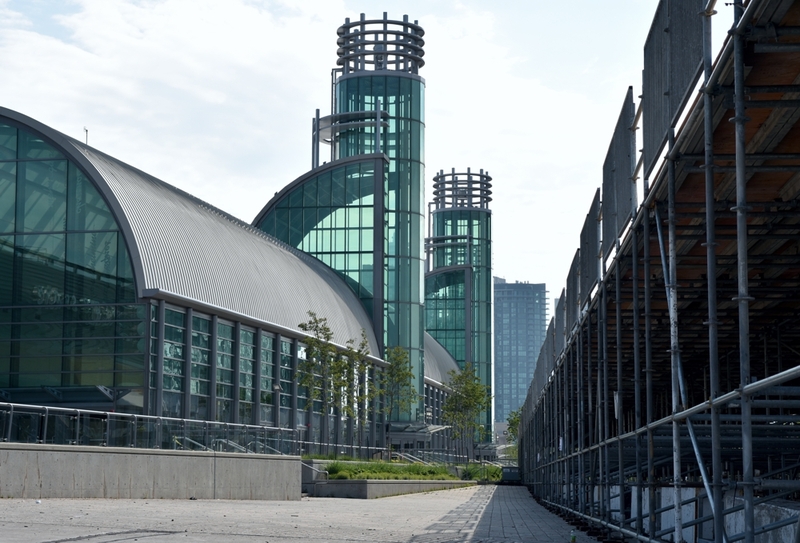 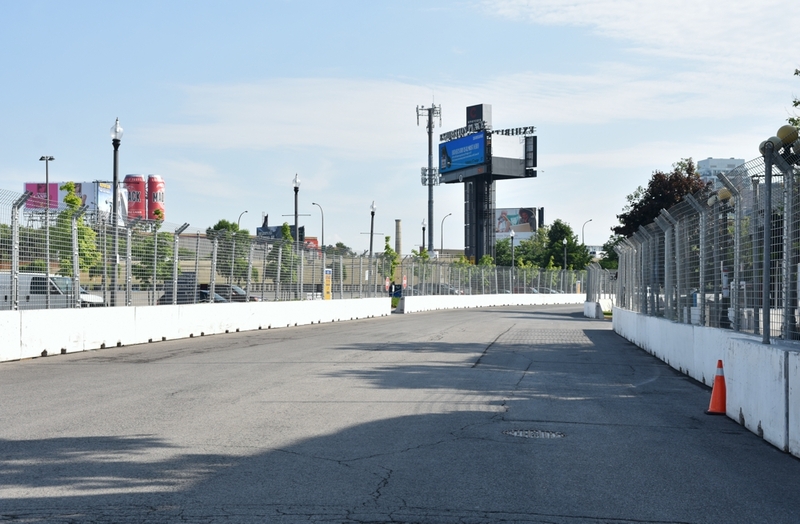 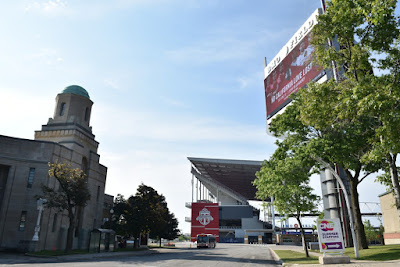 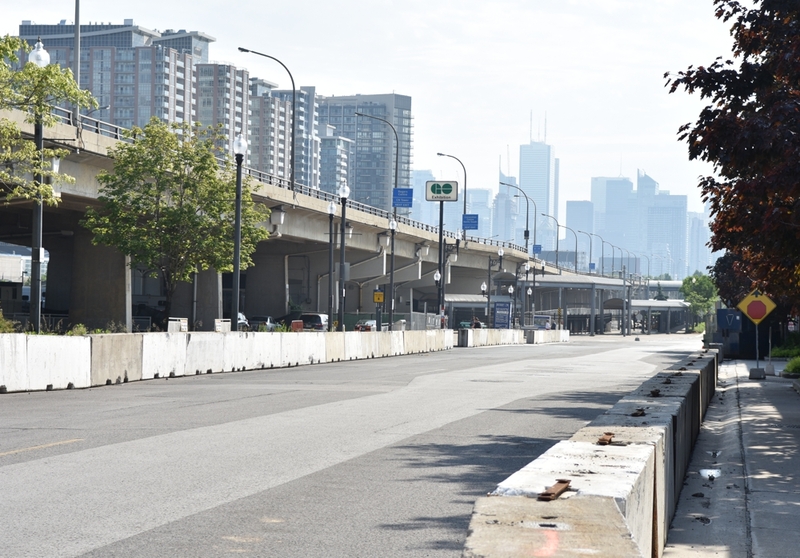 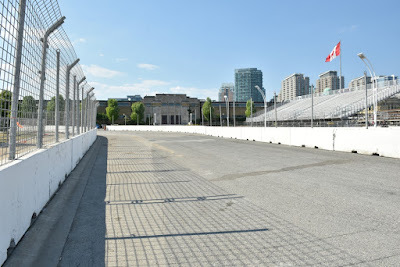 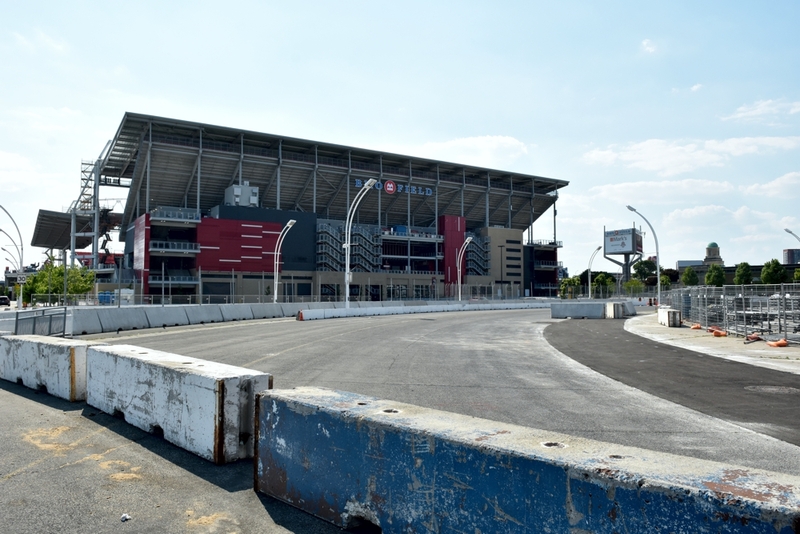 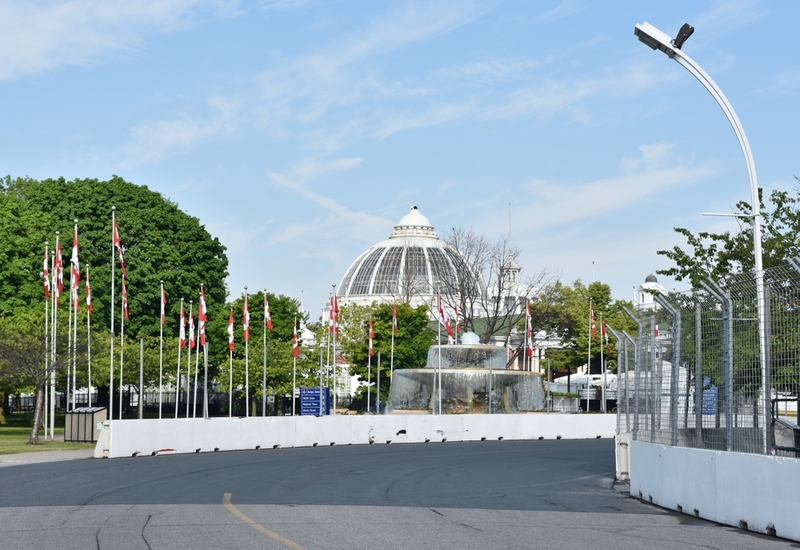 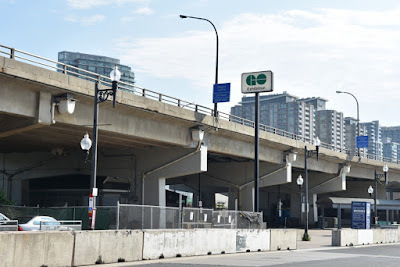 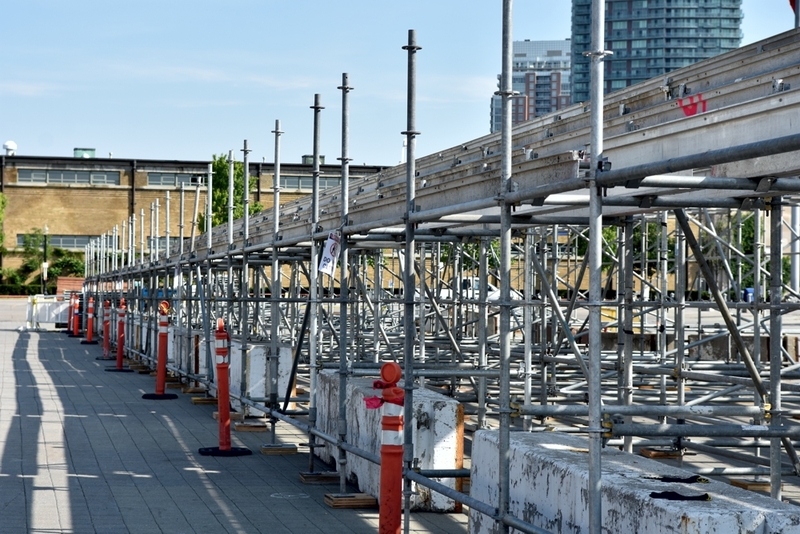 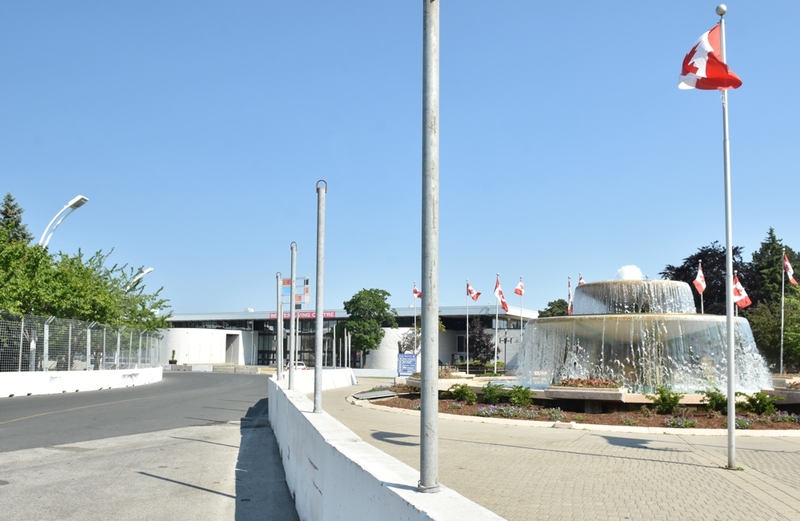 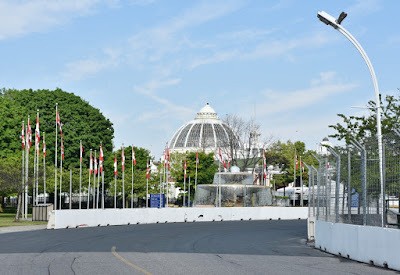 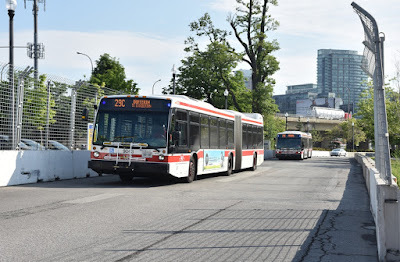 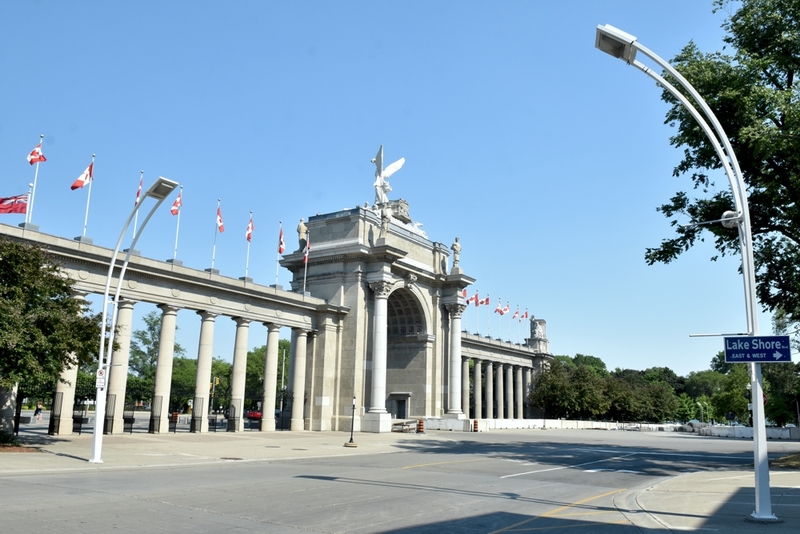 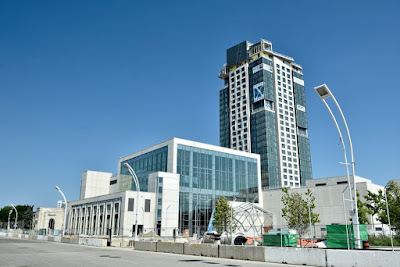 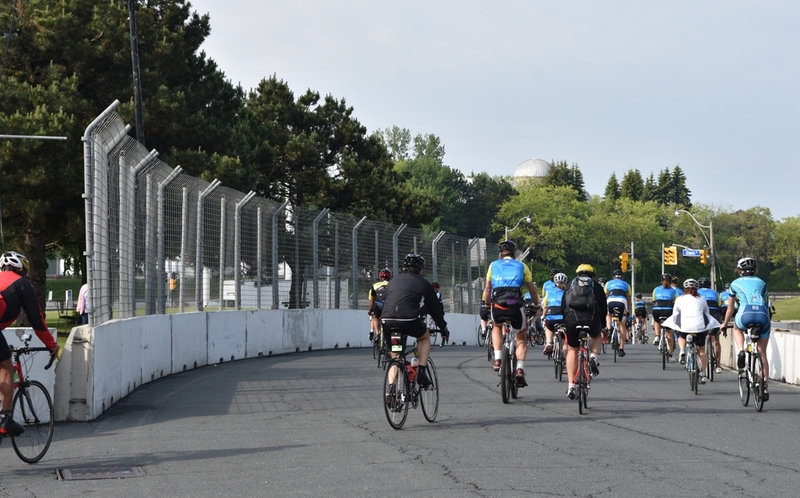 @HondaIndy began the month plus track and grandstand construction that turns Exhibition Place and Lake Shore Boulevard into Toronto's own high speed race course. 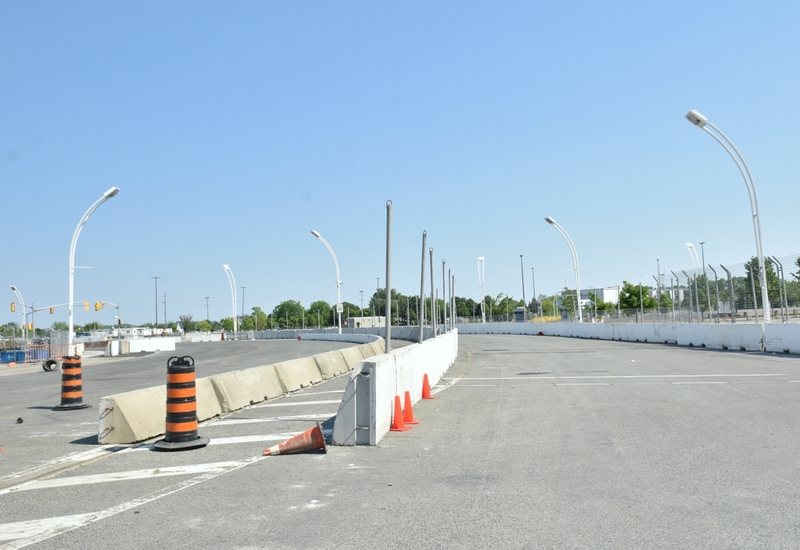 HIT President Jeff Atkinson and Jim Tario, Director of Track Operations, officially started the build on June 8 and will utilize Fleetmatics mobile workforce solutions software to optimize the track construction so that it is ready in time for the July 15-17 event. 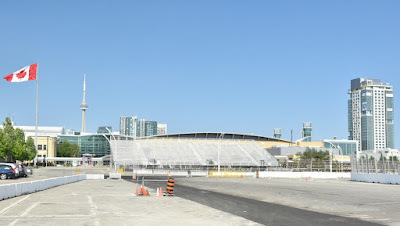 Looking south towards BMO Field and Turn 9 in the photo at top. "We are always looking for ways to make the process of building our track more efficient," said Jeff Atkinson, President of Honda Indy Toronto. "Having the support of Fleetmatics, and their cutting-edge mobile technology, is very valuable to our team working on the build and we are very pleased to welcome them on board as a valued sponsor." Pit lane makes a big change from the south side of Princes' Boulevard to the north side of the road, starting at Turn 9 instead of Turn 11. They flipped some Hospitality Suites and Grandstands as well. 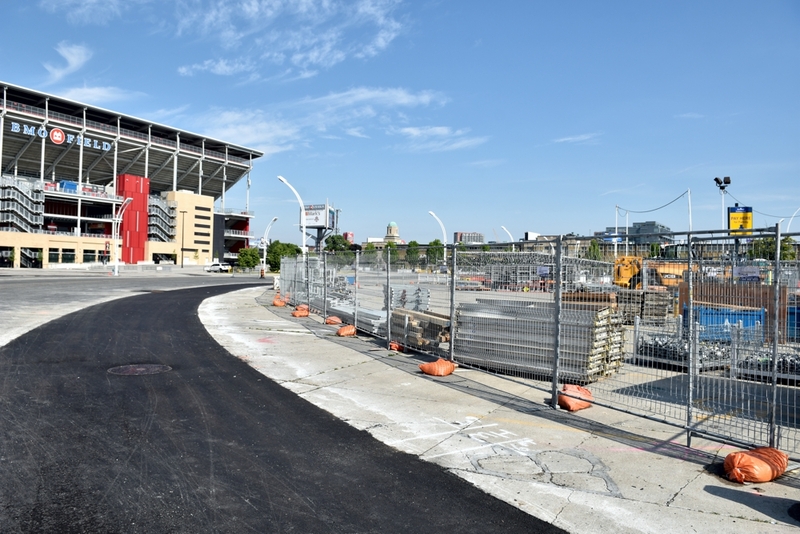 A wheelchair accessible track crossing has been added to Turn 9. 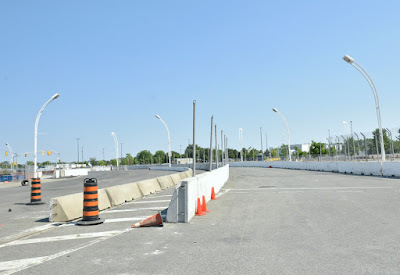 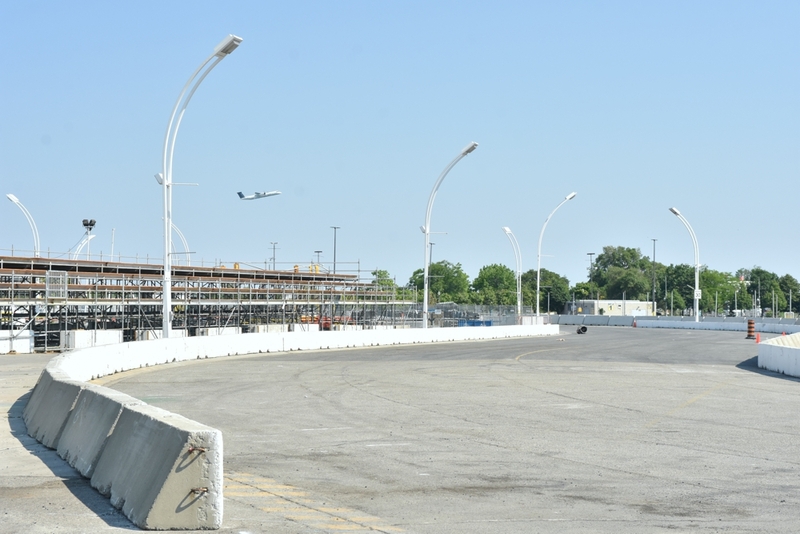 Updated June 19: Pit lane is taking shape. 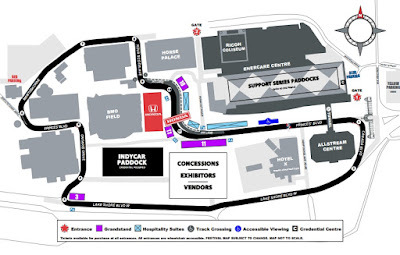 Drivers will enter from the north side of the track starting at Turn 9. 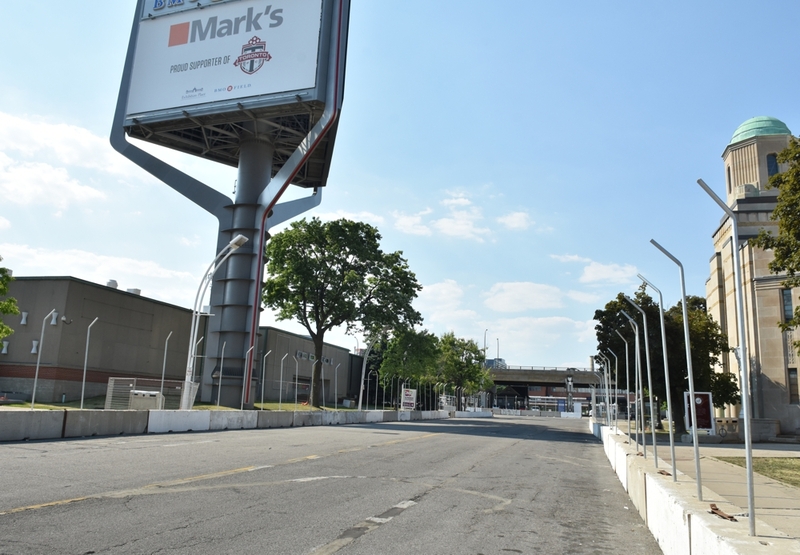 Pits are on the north and east sides, closest to Enercare Centre and the Turn 10 grandstands and pit lane suites. Leaving pit lane would require the drivers moving out of pit lane to the north merging with the track traffic on the south side. 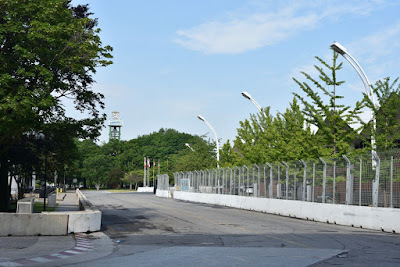 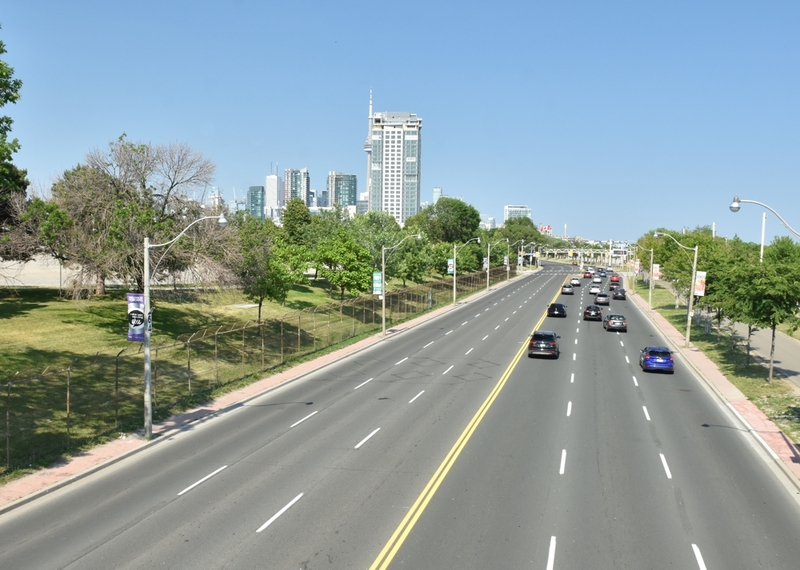 The 1.75 mile course actually takes a crew of about 200 workers 38 days to build, with most of the work taking place at night to reduce the impact to Toronto traffic, and using over 14,000 feet of fencing placed on top of 10 million pounds of concrete blocks. Quite a few of the blocks and fence are in place and the grandstands are starting to take shape. 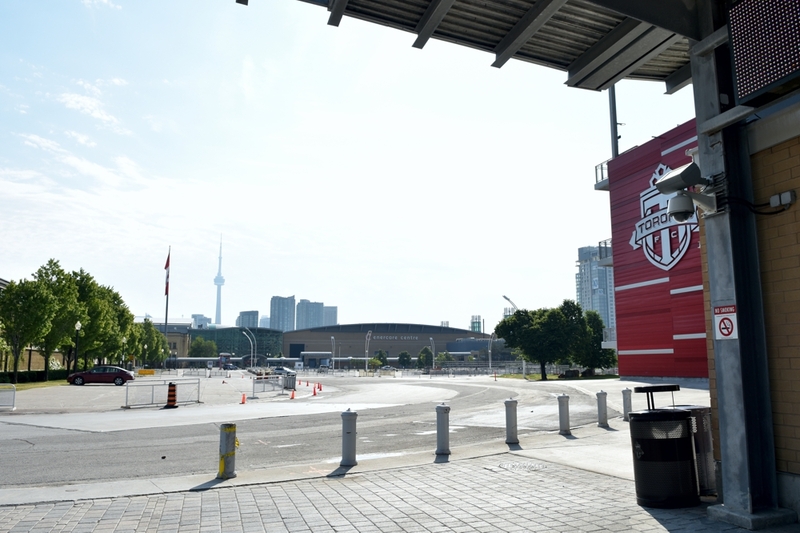 The track has been adjusted to accommodate the construction of the new Hotel X and the expansion of BMO Field. 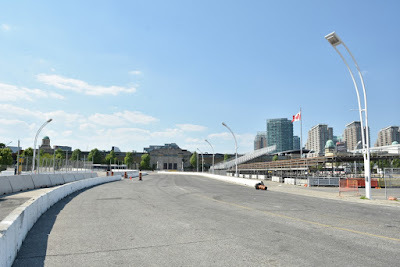 "This year marks the 30th year of racing in Toronto," said Jeff Atkinson, president of the Honda Indy Toronto. "We are thrilled to be able to provide a double feature to help mark the occasion, with the NASCAR Pinty's Series headlining on Saturday and the Verizon IndyCar Series on Sunday. 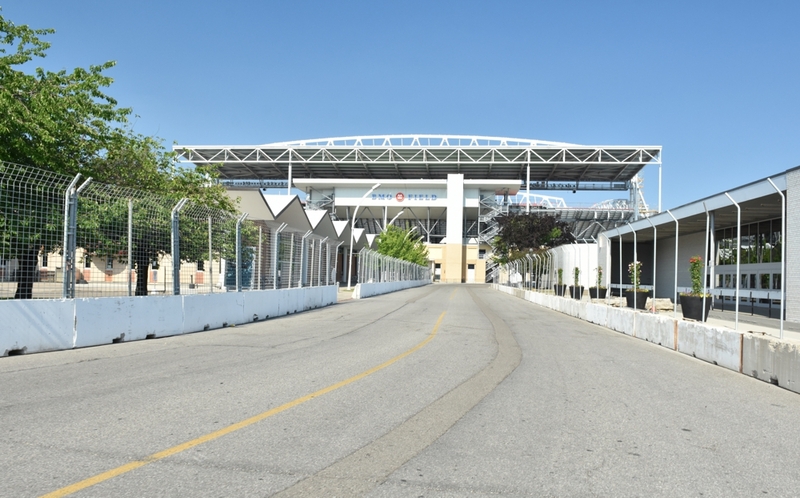 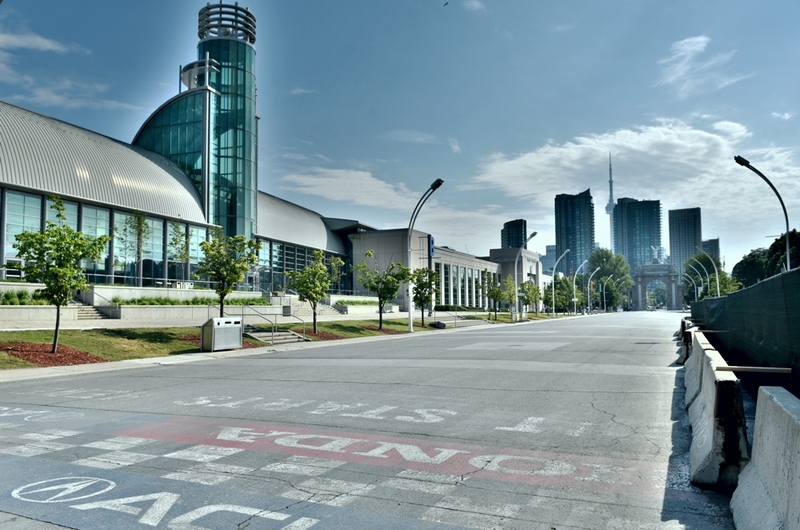 Fans are in for an exciting weekend of racing at the Honda Indy Toronto this summer." 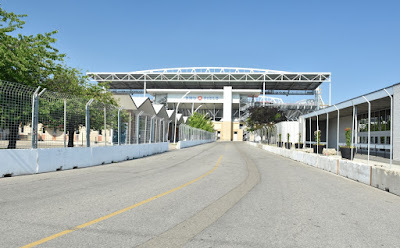 While Paul Tracy is currently the only Canadian to have won the Toronto race, twice and with a win in the Indy Lights as well, we have a strong contender with James Hinchcliffe who won the pole position in the Indy 500 and in another race, cancelled due to a rain delay, will start in first place during the finish of the race at the Texas Motor Speedway on August 27.